When you first starting thinking of the idea to join a career in real estate, you probably didn't know the amount of information that you would have to learn. One thing that may have been difficult to learn, and may have come to overtake your life as an agent, are acronyms. You probably never thought that you would have to learn acronyms such as MLS, IDK, NAR, and so much more. Each of these acronyms is extremely important for running an effective real estate business, but there is one acronym that is underrated but probably the most important to your business: CRM. 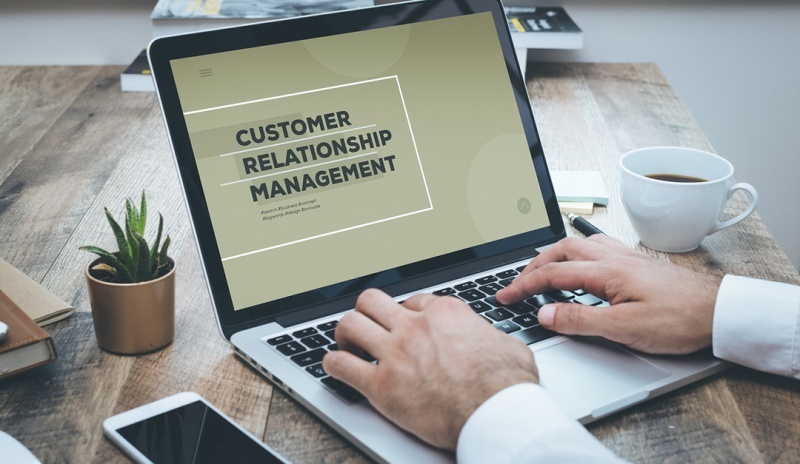 CRM stands for Customer Relationship Management, and it's the system that helps you turn a lead into a client and a client into a referral source. Although there's no shortage of CRM providers to choose from, you can get a free CRM from Homes.com. Just set up a free account or subscribe to any of Homes.com's services to access your CRM. The Homes.com CRM comes with an email marketing center packed with prewritten drip email campaigns and a monthly newsletter with fresh content for your clients. Setting up a CRM can be the easiest thing if you begin to use it from the very first lead that you receive. You can get a good start by adding all of your current and past contacts in the CRM of your choice. Most (including Homes.com's free CRM) allow you to import your clients through a spreadsheet, or you have the option to enter each client individually. Labels: Your CRM will only be as effective as the implementation that you put into it. There's not much benefit to be gained from sending the same email to a first-time buyer you met last week and the couple you've already helped through several cycles of buying and selling. This is where labels can help you. A label is a category used to arrange different groups of contacts into relevant, targeted contact lists. You should probably think of the people that you serve to create labels that make sense for your real estate business. There is nothing wrong with adding a person to more than one label if that label applies to that person. Buyer Profiles: Another important function for a good CRM is the ability to have buyer profiles that let potential buyers know when a listing matching their search criteria hits the market. To make this functionality work properly, find out what each of your contacts is searching for: location, property type, features, price range, etc. Once you know that, decide how often you want your CRM to email updates to your contact. Usually, active buyers or those looking to move within the six months would probably prefer to receive a weekly or monthly listing update. Setting up a CRM isn't a "do and done" task. You have to set aside time at least once a week to update and manage your CRM. If you want the best results from your contact list, maintain up-to-date records and lists. Client Intake Forms: You can standardize the information you receive by creating and using a client intake form. This will help ensure that you are receiving a complete set of information for each new client you work with, and will help you with keeping your CRM up-to-date with new or updated information. Some information to include may be the person's name, contact information, current address, what they're looking for (beds, baths, price, area, schools, etc.) and/or moving plans. Centralization: It's good practice to have at least 3-4 different lead sources fueling your business—that means 3-4 different ways leads are funneled into your business. Make sure each of those contacts ends up in your CRM so future revenue opportunities can't fall through the cracks. This is where a lead aggregator comes into play. A lead aggregator, like the Lead Gator that's included in the free Homes.com CRM, allows you to set up automatic lead imports so your leads all end up in one place, no matter where they come from, allowing you to manage them more easily. Once all of your contacts have been uploaded and labeled in your CRM, you can begin the process of nurturing them to get ready to either buy, sell or refer. You can create email and phone call campaigns for small targeted groups, such as residents of a particular neighborhood or single parents. Targeting small groups allows you to address specific problems, rather than lumping everyone into the same categories. Fill your campaigns with plenty of valuable, relevant, entertaining information to build trust and connect with your contacts. That way, once they or someone they know is ready to buy or sell their home, they won't go searching for an agent. They'll come straight to you. If you aren't currently using a CRM or you aren't happy with your CRM, try out the free CRM from Homes.com. We're invested in your success, and providing this tool is just one of the ways we hope to help. To learn how a paid Homes.com partnership can grow your business, contact Homes.com here. Joe Sesso is an author and national speaker for Homes.com. For more information, please visit marketing.homes.com.